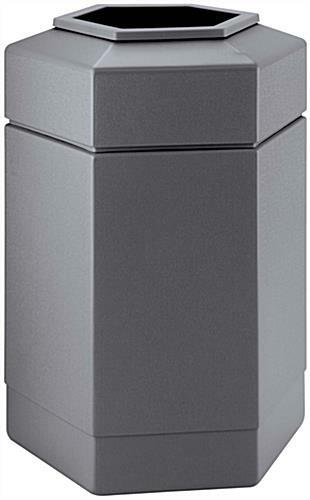 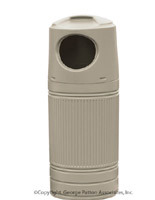 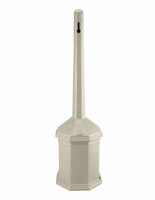 These gray plastic trash cans are made of polyethylene and feature a neutral gray finish. 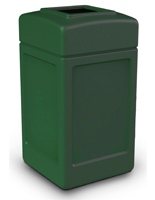 The rubbish bins can hold up to 30 gallons of waste and feature a lid that conveniently lifts off. 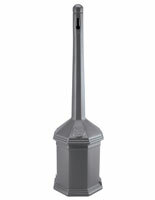 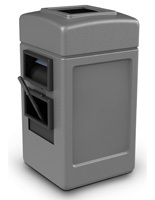 The indoor-outdoor plastic trash cans are great for offices, public places, and other areas with heavy foot traffic. 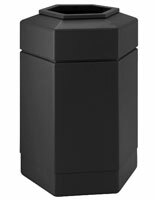 The containers' neutral color and hexagon shape allows them to blend with any interior or exterior, making them ideal for stores, sidewalks, office buildings and much more. 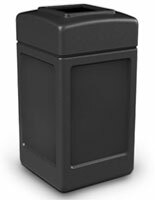 These 30 gallon trash cans are ideal for both outdoor and indoor use because they have a strong fabrication that will not splinter or rust. 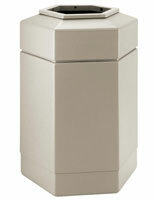 The office rubbish bins are also available with a beige or black finish.